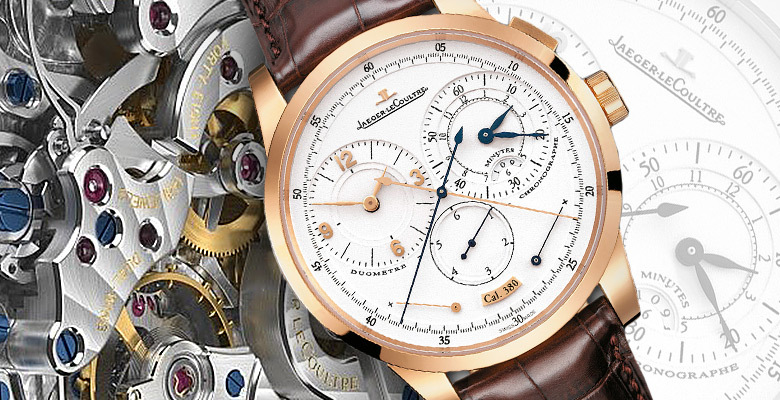 Jaeger-LeCoultre founder Antoine LeCoultre possessed one of the most inventive minds of his generation, and remarkably, this tradition of elegant innovation has remained at the core of everything Jaeger-LeCoultre produces to this day. One hundred and eighty years ago, in his workshop in Le Sentier, Switzerland Antoine LeCoultre laid the foundations of an enviable reputation which has kept pace with modern watchmaking ever since. Antoine LeCoultre was considered a visionary during his time, but, like many of his peers, he developed his watches and his expertise on the family farm throughout the winter seasons. However, LeCoultre’s farm was to become the premier watch company in the Vallée de Joux, so in many respects he was instrumental in developing what is today the home of Swiss watchmaking. From the first gear wheels through to patented mechanisms, the manufacture developed steadily, adding new extensions as the business grew. The LeCoultre family joined forces with Parisian watchmaker Edmond Jaeger in 1903 and since that time, elegance and refinement have always been the signature hallmark of their watches. Advance to the near present, and in a masterly display of micromechanics, the Jaeger-LeCoultre Duomètre à Chronographe ‘Dual-Wing’ Calibre 380 is a creation of which its founder would no doubt have been happy to put his name. The movement has two independent power reserves. 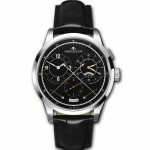 The first is purely to power the 12 hour chronograph which has unique functions including hours, minutes and seconds hands, a display of units per minute, and a “foudroyante” seconds display with zero reset. (A foudroyante employs a small dial that is marked 0-8. The hand on the dial completes a sweep every second which is an elapsed time of 1/8th of a second for each number.) 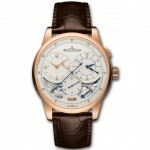 The second power reserve is for timekeeping. 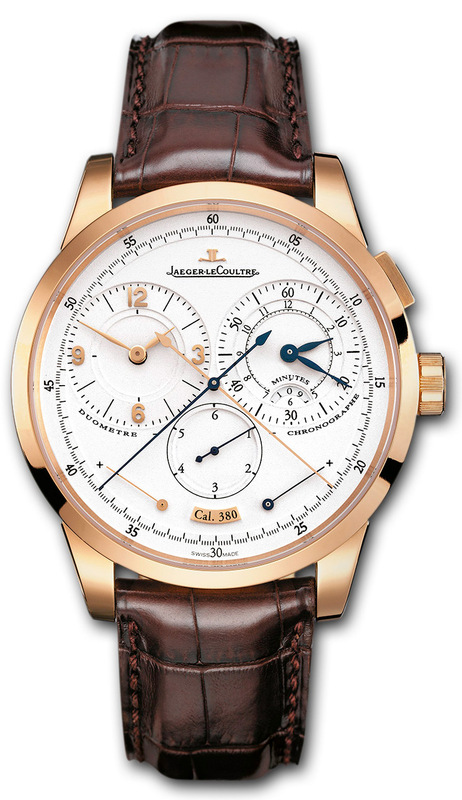 The two independent mechanisms eliminate the chronograph’s potential for disturbing the watch’s timekeeping. With the stored energy of the two mechanisms in two separate barrels, they deplete themselves entirely independently of one another. At the same time, ingeniously, there is not two crowns to control them but just one. 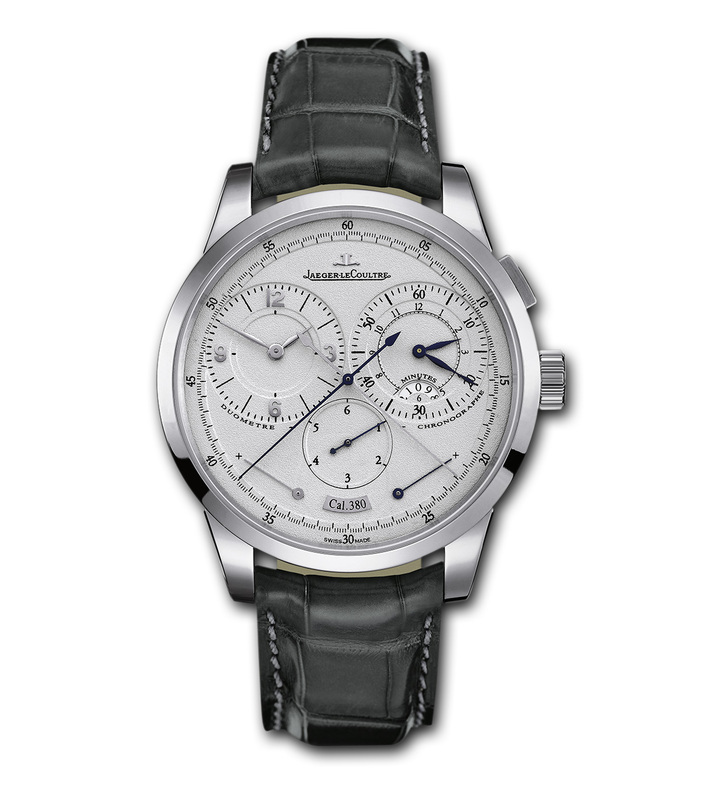 The rewinding is achieved by wining one way for the hour, and the other way for the chronograph, with the barrels in sequence on the crown’s cogs. Remarkably, the mechanism operates without a clutch. The conventional approach to a dual mechanism is for the chronograph to work in tandem with the hour’s mechanism to make it function, however because that can lead to small skips at the start or some reverberation on the tuned regulation organ, the result can be a loss of amplitude for the balance. The Duometre’s elegant solution is for the wheel of the jumping seconds to be placed right behind the regulating mechanism. It permanently rotates to ensure the first step of the hour’s going train. Then when the chronograph is triggered, an ingenious system allows it to simultaneously ensure the driving of the chronograph’s mechanism, without disturbances on the balance. Jaeger-LeCoultre opted to design the mechanism for maximum visibility with elegantly fashioned cut-aways on the plates allowing a full view of the depth and intricacy of the movement. 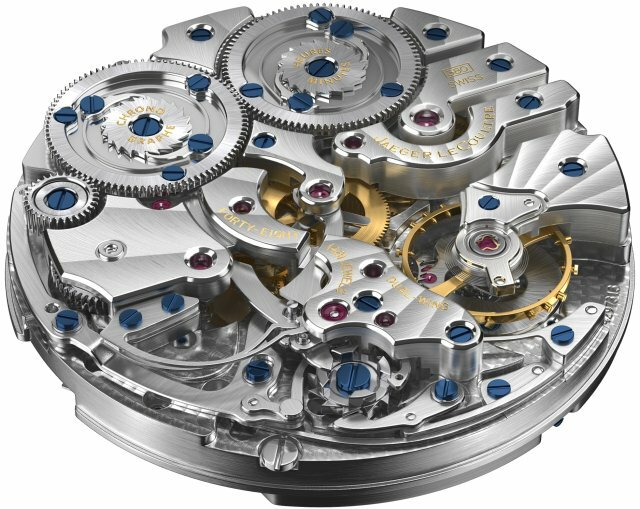 The chronograph side reveals not only the column wheel, but the command cams, and even the zero position heart mechanism. Being a true work of haute horology from JLC, the finishing is of the highest level, and the bevels and Côtes de Genève are of course perfectly executed. The off-white dial features hour, minute, central seconds, and power-reserve indicators for both mechanisms as well as a chronograph with concentric hour and minutes, a minute-unit indicator, seconds and jumping seconds. The blue steel chronograph hands help to give excellent readability against the dial and the pushers are easy to operate. 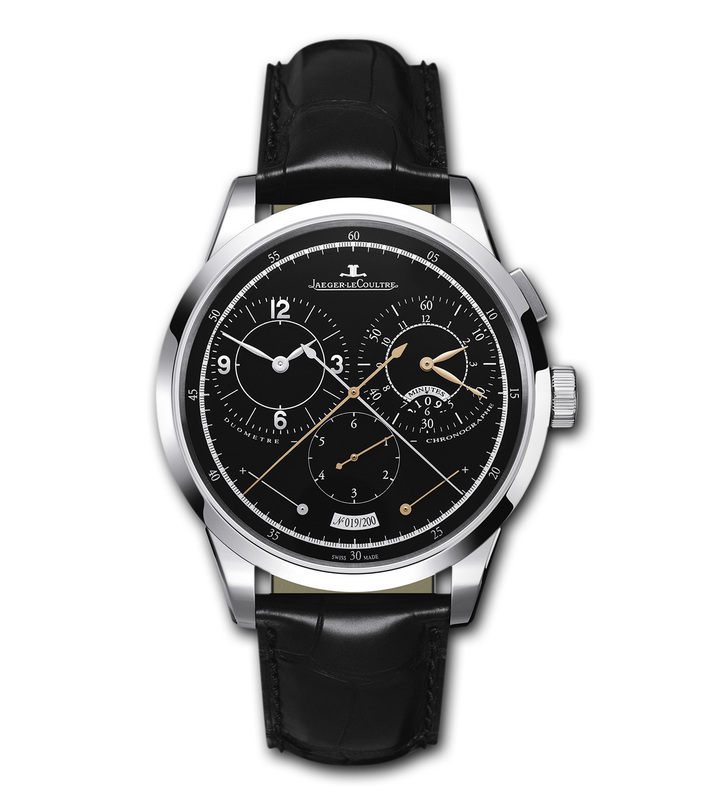 This handsome 42mm watch from Jaeger-LeCoultre was introduced as a limited series of 200 in 18K White Gold, but it’s also available in 18K Rose Gold and Platinium. The watch comes on an alligator strap with a deployant buckle and a display sapphire case back. 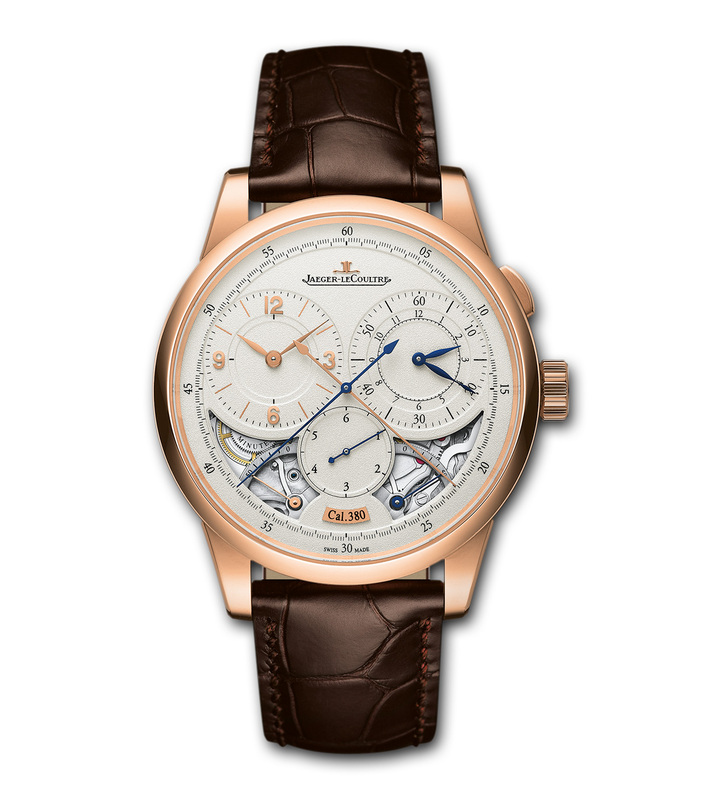 From an original retail price of around $47,000 for the Pink Gold version. 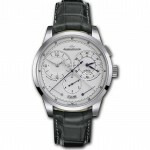 More resources about the Jaeger-LeCoultre Duomètre à Chronographe on LuxuryInsider, Bexsonn, & WCL. Michael Weare hails from an international advertising agency background where he handled several well known and highly desirable watch brands; handled, but sadly never got to keep. However it's this exposure that gave him a lasting fascination for watches. 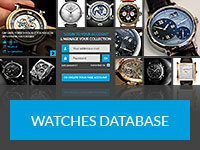 Michael was Editor of Click Tempus for over 2.5 years and is now in the same role at Watchuseek, the web's largest watch forum.